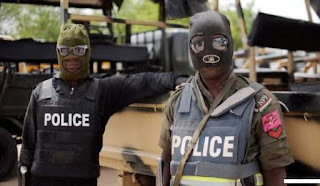 The Police Command in Borno said on Sunday that it had arrested a driver, Malam Modu Mustapha, suspected to be purchasing fuel and food items for Boko Haram insurgents. Mr. Damian Chukwu, the Commissioner of Police in the state, told News Agency of Nigeria (NAN) in Maiduguri that the suspect was arrested after a tip-off by members of the public. “The Police have received information that one Modu Mustapha of Jumptilo village was a terrorists’ collaborator, who buys fuel and food for them, at Alagarno and other hideout. “The Police descended on the suspect, who has confessed to the crime,’’ he said. Chukwu alleged that the driver usually fetched firewood in the bush, from where he was suspected to have met the terrorists. “He said that he had been buying things for the insurgent group. “We recovered N10, 000 from the suspect, which the terrorists gave him to buy bicycle spare parts for them,” said the commissioner. The commissioner said the suspect also named 15 other firewood vehicle drivers, who engaged in similar crime. According to him, the Police are yet to establish the motive of the driver buying things for the insurgents. He said that because of the nature of the alleged crime, it would be transferred to the military for further action. Chukwu said that the Police also arrested three men who specialised in adulterating grind-pepper, mixing it with sawdust and flower waste and selling same to public as pepper. “Those arrested included Bukar Masona, Babakura Umar and Ali Muhammad. “The adulterated pepper they sell to the public is poisonous and unfit for human consumption,’’ he said.